We are ready to give your home move 100%. We move lives. Not just things. We know we’re not just moving boxes and equipment. We’re a part of moving people’s lives and livelihoods. To keep your house move stress-free, you’re assigned a single point of accountability—a Move Manager who will be your constant connection to an entire team working to create a seamless experience. Support services, at your service. With the comprehensive services of North American Van Lines, you’ll have access to an incredible level of nationwide moving and storage capabilities. 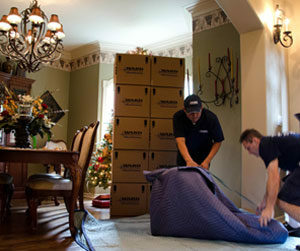 Contact Ward today for details on our full-service residential moving experience.